It doesn’t matter how long a company has been in business. Both startups and established companies need to remain focused on the value proposition of its device product development efforts. Today’s guest is Scott Phillips, CEO of StarFish Medical. He offers advice on how to approach value proposition depending on the stage of your business. What does your company value? Point priorities in the right direction. Founders start a company because they want to make an impact, offer value, but own most of it. Equity Preservation for Startups: Avoid the trajectory of delusion after raising millions of dollars of capital. StarFish uses a framework that addresses 12 functional areas to identify client’s target audience, IT environment, reimbursement strategy, and other factors. There’s plenty of horror stories about when things go bad. Also, it can be considered bad business when companies rush to get in human-type studies. Equity Preservation for Established Companies: Basically the same as startups, except the notion that future money is cheaper than current money doesn’t apply. Established companies tend to place more emphasis on regulatory processes, submissions, and clearances. StarFish helps startups fill gaps in such areas. Those in a product management role at a startup often have a tech background and don’t understand the role’s responsibilities. Jon Speer: So whether you are a startup or an established company, one of the things that you do need to focus on is the value proposition of your device product development efforts. And I have a real expert on this episode of the Global Medical Device Podcast on this topic and it's Scott Phillips. Scott is the CEO with StarFish Medical, and we dive into this topic, compare and contrast the startup lens versus the established company lens and I think you're really gonna like this, so enjoy this episode. Jon Speer: Hello and welcome to the Global Medical Device Podcast. This is your host, founder and VP of Quality and Regulatory at GreenLight Guru, Jon Speer. I'm really happy about today's guest. I've been a big fan of his and his company's work for quite some time. Joining me is Scott Phillips, CEO of StarFish Medical. Scott, welcome. Scott Phillips: Thanks so much, Jon, it's a pleasure to be on your show. Jon Speer: So before we dive too deep into our conversation today, maybe give people a little bit of a perspective of your background and StarFish Medical, and more specifically how StarFish Medical can be an asset or a resource to help them. Scott Phillips: Sure. So, StarFish Medical, we're celebrating our 20th anniversary this year, which means I'm not as young as I used to be. And we are a contract product development company, specializes in the medtech vertical. We like complex electromechanical devices of all different types, diagnostic instruments, some surgical devices, some biotech assay kind of things, variety. We have about a 140 staff headquartered in Victoria, Canada with another regional office in Toronto, so we cover both east and west of the continent and we work with clients primarily in North America. Jon Speer: Alright, appreciate that. And folks, go to starfishmedical.com to certainly learn more about some of the projects and the things that the team has done there and a little bit more about Scott and others from StarFish Medical. Really, a great company making the difference in the industry, and 20 years, it's no small feat. So, congratulations on that, Scott. Scott Phillips: Thank you. It's a little shocking. Jon Speer: Time flies, doesn't it? Jon Speer: Well, tell her happy birthday. Scott Phillips: Thank you so much. Jon Speer: So you and I were catching up the other day and we started diving into a topic and I'm like, "This would be perfect for the Global Medical Device Podcast." And I guess the title or the top level idea is medical device product development value proposition. Jon Speer: But more specifically, talking about... There's kind of a yin and a yang that's happening whether on this topic, the value prop, as to whether or not you're a startup or whether or not you're an established company. Those things matter, or what creates value matters very much so, depending on your state of company. Maybe give a little bit of background on the value proposition from a startup perspective, and then maybe from an established company perspective. Scott Phillips: Yeah, absolutely. Maybe let me generalize value proposition a little bit. Now, what does the company value? And what does the project sponsor value? A start-up company at its very essence is trying to have an impact but the entrepreneur, the founder, wants to create something really valuable and wants to own a bunch of it, and that second part gets blown up so many times by not having the right priorities in the right direction. It doesn't really matter if you sell your company for $100 million, if you only own half a percent by then, 'cause you've had some hiccups along the way, which do happen quite a lot. I think the stage really gets set in that first... Raising money in this sort of sub $5 million value range, is when your trajectory of dilution gets set. Scott Phillips: And then of course that relates to your market value proposition, because that's what people are gonna be buying into. But you know what, the needs of companies are a little particular, what some companies are super strong technically, other ones are super strong in terms of market research, other ones are really strong clinically. So the way that we can complement them is a little different too. But I can talk a little bit later about what does it mean to build a whole enterprise whose mission is to help other companies be successful on their own terms and making sure that we do that in a lean, super efficient way. Jon Speer: Alright, so let's dive into this idea of equity preservation. And maybe use a hypothetical or not-so-hypothetical scenario. So I'm a start-up and I've got an idea, and I need capital, obviously to bring any medical device to the market there is some capital that's gonna be involved. And I'm trying to raise the right amount of capital in line with my current value proposition, and I wanna preserve equity. What are some of the things that a startup should be considering or ways that they might be able to do that? Scott Phillips: Great, so one of the things is to be skeptical of advice. I'm telling you this advice to be skeptical of other people's advice. Scott Phillips: When we get to the corporate, it's a different animal, but in the start=up world, if you're raising money of $1 million evaluation and two years from now you'd be raising a $10 million evaluation, then a dollar, all you really care about is a share, right? So a dollar 2 years from now it's actually where 10 times less than a dollar today. And so things that seem efficient from a overall program, dollars actually don't make sense when you think of it that way. What you need to be doing is just brutally focus on the things that your investors will value in the next round. Jon Speer: That makes a lot of sense. I've talked to a lot of companies, and frankly sometimes they're very early stage, and they are talking to me from a quality management system perspective and obviously GreenLight sales and eQMS software platform, and my advice to them is, are they ready for that? Don't mishear me, there are elements or behaviors that one can engage in and put in place even when you're early on, especially when it comes to good design and development, product development practices and product risk management practices that you can engage in. But to invest in a full QMS when you're not capitalized and when you haven't reduced it to practice and you're not at the appropriate stage of your company, that's not a good investment. Scott Phillips: That's very true, that's exactly what I'm talking about. If your next round investors are gonna ask you whether you've been audited to ISO 1345 then you need to do something. If that's not where you are, then kick that can down the road. There's time to do those things, right? Later. And right now is when you're gonna blow your brains out on equity loan. Jon Speer: [laughter] Well, and I think this concept of an MVP, and I don't know if everybody listening is familiar with the acronym MVP at least as it relates to product development, but that MVP methodology and Lean methodologies, those have a lot of value, especially for early stage start-ups. Scott Phillips: Yeah, so that's quite interesting, this all, this language is sort of the Lean Startup, Eric Ries and Alex Osterwalder and those guys, and it was all... It comes from internet-type start-ups. And the idea that you build a mock-up of your product and then you see how many people try to buy it basically, right? So there was kind of a school of thought in medtech for a long time, that, well, that's all well and good on internet type businesses, but it doesn't really apply to us because we've got this regulatory affair, you can't just start trying to sell a hip implant and see who buys it, or an ultrasound machine. That's kind of beside the point. 'Cause really it's, what are the things that you can do to demonstrate that you've addressed the critical risks? And I think, to their benefit, a lot of the risks in a product development is whether their market will actually buy them, right? We don't have the luxury of seeing whether people will give you cash for them today or not. That's unfortunate, but you can do a lot of things, where you can give mockups to people, let them try them, depending on the risk we can let them try them on volunteers, and so on. It's a complicated world sometimes, you can't test a heart valve on people but you can test an ultrasound imager on people or on animals or something. 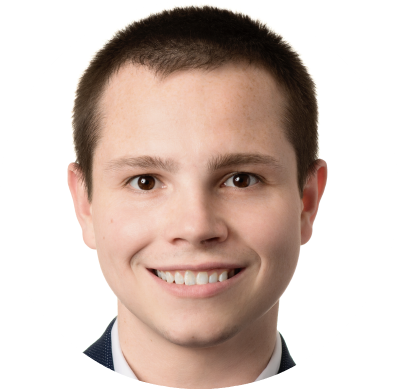 Jon Speer: Whatever your view, to efficiently get the risks out... We were working on a project in the dental area last year, we were talking to some of their advisory board members, and it was so interesting to realize that the big valuation milestone for them was gonna be on clinical. And so the whole discussion shifted to, how do we get... What's the most efficient path we can get to for clinical? 'Cause then you'll be able to raise money at tens of millions of dollars value and you can even re-do some of the things that we did in the early stage. The most important thing is that, at the end of the day if you can have a company that you want 20% of instead of 1%, now, that's a whole different view of the world. You're the one taking all the risk and taking all the initiative and the emotional burden of building it. And the other important thing to understand about MVP is that, as it was originally proposed, it's not actually a product, and a lot of people get confused about that. It's actually a version, it's a concept for a product more than it's a product. So it's something that can be rapidly changed. Jon Speer: Yeah. That, actually, the MVP approach is something that when we started GreenLight that we employed as we were getting started. For us, for that first MVP was a series of workflows and wire frames and screenshots. Once we got some market acceptance of that, then we moved to the next step and building beta software and so on and so forth. But even the concept or the approach has merit in tangible medical devices. I'll share a short story about one of my very early experiences as a product development engineer getting to work with clinicians, and they draw things literally on cocktail napkin sketches sometimes or I would say, some of the more mechanically inclined physicians I work with would actually grab parts and pieces from their office or that they found around the hospital and they would glue things and tape things together and they would basically give me a prototype, an early stage prototype. Jon Speer: I guess that is an MVP model, and the next iteration might be go down the 3D prototyping or maybe, before that maybe do some 3D rendering and things of that nature. The whole level of "prototyping" or "products" that one can engage in; and each one of them, don't just do prototyping for the sake of prototyping, but the idea behind various MVPs or various levels of product, various levels of prototypes, each one of them is for the purpose of learning something. Scott Phillips: Yeah, you have a hypothesis, and this is your experiment, kind of stuff. And you write down what your hypothesis is and you write down the results of the experiment. And that, basically, you can think of, I think a start-up company and particularly in medtech, as a series of experiments, and you're trying to figure out, can you figure out a value proposition that works and can you figure out a market that it's properly aligned for? And of course, there's the technology questions, etcetera, etcetera. But we have a framework that we use when we're starting to work with a company we call Pathfinder. It basically works its way through a series of about 12 different functional areas, and we ask people, "What's your IP situation? Who are you trying to sell to?" And why are they gonna use it, and why is it better than they're doing now, why is it better enough that they're gonna be training all the nurses. Scott Phillips: And is the person spending the money going to get the benefit? And is the technology baked, like can you actually make it? And if you were to service it in the field, what would that mean? What are the human factors aspects of it? Do you have a reimbursement strategy or what not? What's your consumable strategy? Do you understand what margins you need to make your money, your product goal? So it's kind of funny when we work through those things, 'cause we're a product design company, and sometimes people come expecting that they're gonna give us, or we'll expect them to give us a very detailed specification and then we will quote to fulfill that specification. But as we go through some of those questions it becomes clear that that would be doing them a disservice to value it that way. We would be much better off to help them work through some of those questions, based on our 20 years of experience, so that when they give us a spec we can actually develop it together, and then we can actually help them have a product that people will actually use and they make enough margin that somebody would want to buy it for money at the end of it and so on. Jon Speer: Yeah, the Starfish team is really helping these early stage companies, not just advance a product, but you're helping them build a sound business. Scott Phillips: Yeah, right, we're kinda like business consultants that do design, right? Jon Speer: Yeah... That's awesome. Scott Phillips: Yeah, [chuckle] it's a lot of fun. It actually, and maybe can talk about this after, it forces a certain kind of training, certain kind of cultural orientation of the company to allow us to have a whole team of 140 people, all of whom, whose mission in life is to have our clients be successful more so then to just to meet a spec. Jon Speer: Yeah, that's really, really cool. Of course we could probably sit here and tell all kinds of horror stories all day about when things go bad. But before we jump to the value proposition from the lens of an established company, I guess just one thing that comes to mind, I hear a lot the rush to get first in human type of studies and I'll be honest, more times than not, it scares me because what I what I observe and what I hear from these conversations, it's really a lot of bad business, and I don't know if you have any comments or experiences that you would want to share on that topic. Scott Phillips: We do have lots and lots of stories, as you can imagine. It's all about risk, right? If you're doing surgery on somebody, you're implanting something in their body, obviously the risks are very high. If you're taking a ultrasound image on them, it's not very high at all, as long as you make sure there's not enough energy to cause tissue damage, there's nothing wrong that could happen almost. We did have, I remember one client, we were doing an ingestible product. It had some automation features and so on. The first prototype, they wanted to try it on somebody. Scott Phillips: And we did our own risk assessments. Everything is biocompatible. But even so, do you set up a formal test or not? And so, actually I ended up being the first clinical test subject. I find that actually, not that I'm volunteering this to you that I will be your test subject. Scott Phillips: Very often, if you have a clinical researcher as a start-up entrepreneur, they'll often do things on themselves. It's kind of a normal thing. But, there is a very strong ethical... The IRB, Institutional Review Boards that institutions have, some of them are more conservative than others, but it's actually a great mechanism to force you to think through all the ways that your optimistic entrepreneurial thing could hurt somebody, right? Jon Speer: Absolutely, you sharing that story reminded me of a call we had a few years ago. I won't go into grave detail about the product but let's just say when the lady was talking to us, she's like, "Oh yeah, I'm wearing it right now, and I got a bunch of my friends that are wearing it right now." And this is like an electromechanical device that... Well, they hadn't done anything as far any testing whatsoever. I'm like, "Oh dang... You're brave." Jon Speer: But anyway, we'll shift gears a little bit. Alright, so we've talked a little bit about the value proposition for medical device product development for start-ups. Let's look through a different lens. I'm an established company. I've already got products to market. I've been through this maybe time and time again. How is the value proposition different? Scott Phillips: Yeah, so I think the market value proposition is only marginally different. I think it's the established companies have existing distribution channels and relationships, so they have the opportunity to drop something into that existing channel that a start-up wouldn't have, so there's some of that. And I'm not really an expert on market strategy, but all those are just the things that we observe and maybe common sense. But I think in terms of a project and maybe seeing it through that same lens of equity preservation, obviously in a corporate setting, the person who owns this product is going to be a product manager, probably within a division of the corporate company, and how do they win in this whole situation? Basically there's, whereas in a start-up you have equity rounds and certain dilution, in a corporate setting you basically get approval rounds where the corporation agrees to give more resources to allow a program to move forward, right? And how can you be as efficient as possible and also give the greatest chance for this opportunity to be able to move forward? Scott Phillips: And so from an engineer working on a program, in some ways it's not that different. We still gotta be super efficient, we gotta be focused on whatever they value in the next milestone. But we just have to recognize that this notion that future money is cheaper than current money doesn't really apply. Jon Speer: Yeah, it makes a lot of sense. And it seems like if I'm looking at it from an established company lens, not that this doesn't have importance to the start-up, but it seems like my emphasis is probably more heavily skewed towards regulatory processes and submissions and getting clearance. Would you agree? Scott Phillips: Oh yeah. Yeah, so that's right. Whereas a start-up company is gonna have some big holes that they don't even recognize in many cases. So we have to kind of support them to point out the places where maybe they're not as strong as they think they are, where that, some additional attention would save them from falling off of the cliff or into a hole. But yeah, the bigger guys, they're almost the other way around. They've got very powerful legal teams that spend endless time hashing out non-disclosure and non-compete kind of provisions, and they've got, their corporate regulatory will come in like a ton of bricks and want everything to be perfectly buttoned up, and that may or may not be lined up that well with what that product manager needs at that moment. So it takes, in some ways a more sophisticated type of communication in the program management office on our side, to be able to work with the corporation, so that we can recognize the various different influencers and players, and how much influence they have and how does that apply what they need without compromising what the product manager really needs for success. Jon Speer: Very cool, so folks I wanna remind you I'm talking to Scott Phillips. 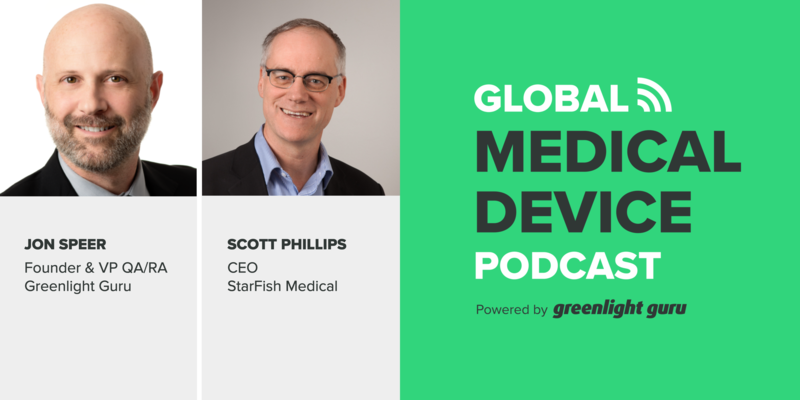 Scott is the CEO of StarFish Medical, StarFish Medical is a leading service provider and a medical device design company. And as we learned just a few minutes ago, they do more than design. They help you run and establish sound business practices in your endeavors to bring new products to market. And a big part of the product development process in the medical device industry, I'd be remiss if I didn't talk a little bit about design controls and ISO 14971 risk management, and how that all plays in. Jon Speer: And certainly as we talk today and even beyond today, I want you to know the GreenLight Guru eQMS software platform, we've designed this platform specifically for the medical device industry, by medical device professionals. So we got workflows to manage traceability from a design perspective and integrate that with risk, as well as all the post-market needs that you're going to get into at some point in time, whenever you launch your product. Jon Speer: So Scott, kinda diving back in. We've touched a little bit on the established company lens, the start-up lens, and through the conversation we've talked a little bit about where they're the same and where they're different. Any other thoughts that you have about the pros and cons, or the yin and the yang, or the complementary or contradictory aspects of product development depending on the shape and size of company? Scott Phillips: Yeah, so well, so we've talked a little bit about the difference, this equity preservation idea and so on. I think that one of the biggest things is that, is in the product management role, that start-ups probably, in many cases, some of them are product managers that came up. But often they're technology experts, they don't even quite realize what the product management role is. So, dialing in that value proposition, actually, there's a couple things. So that's one of the things. When we start a relationship with a company like that, it often starts with people saying, "We want a box this shape that's gonna be this long, it's gonna have these buttons on the front." And we ask a few questions like, "So that we understand that, so, how many users have you talked to so far? And how confident are you that this is really gonna address their needs? And what regulatory are you complying with so far? Do you have a product system?" Jon Speer: No, well, as you were sharing that, I was reminiscing a bit about very early on in my career. The company I was working for at the time, you would call them, today you would call them a large corporate entity. I guess you would probably call them that 20 years ago, but we behaved very much like a start-up. And I don't know why they still behaved that way, I don't know, I think it's just because they were founded by an entrepreneur and that entrepreneur was still very involved in the business. Jon Speer: But anyway, I remember getting, I mentioned a moment ago, the prototype from a doctor that something that was taped and glued together. And basically, my first experience or two, I basically took that prototype from this key opinion leader and I "engineered" it in a way that could be manufactured, go through all the hurdles, all the design control activities, regulatory submissions, things of that nature, launched the product with a thud because it was only designed for that one user. And I was like, "Oh my goodness." I try not to make that mistake again because I think humans are, not all, but a lot of humans are very good about solving their problems in the form of a prototype or an idea or a concept, but you need to vet that idea beyond just that one key opinion leader. Scott Phillips: That is so, that was totally... I always got the little red flag ready to start waving it since I hear any story like that. In fact I was talking to a company last week and they had really incorporated one particular patient as their mission in life, and when they talked about that, the patient was the face of the company and their mission in life was to help this patient, the red flag started going for me. Like, oh my gosh, that's very admirable in one sense, but how confident are you that if you talk to 100 people, that the stories would all be similar enough to this person that you understand what they all need? Scott Phillips: And how open are you going to be in that situation to actually shift to be what they need? I think it's very easy to close your mind and jump to conclusions. Scott Phillips: And as you say, it's particularly KOL type doctors are prone to this kind of risk 'cause they really, in their mind, they are the market, they come to embody the market. And that's one of our rhetorical challenges early on, is to try to help them understand that they are way more skilled than the market. And if they are a KOL doctor, chances are, they are one of the top doctors in their field. But their market is not all top doctors like them, they're middle-of-the-road kind of doctors who maybe only do that type of surgery once every month and not every day. Jon Speer: Right, right, so it's important folks that, especially for those out there who may be start-ups that are based on a technology or research that maybe you've had a hand in from day one is, cast a wider net, get more feedback and input from others that are in that market space. At the end of the day, you're gonna go through a lot of challenges, a lot of trials, a lot of tribulations in bringing a new product to market. And a lot of costs, and hopefully you've done a good job of preserving your equity along the way. And you want that equity and that value of that product and the quality of life impact to be as great as it possibly can, once you get there. So do a little bit of your homework up front. Leveraged experts in this space, like Scott and his team at StarFish Medical. Scott, any other final words before we wrap up today's podcast? Scott Phillips: That's a great question, I was gonna dive into value proposition, but that would be more of a 10-minute extension. So my final words, honestly, it's been a total pleasure to talk to you, explore some of these themes. I guess, my final word would just be think broadly and talk to a lot of people, and realize that, don't fall in love with your ideas. You're open to talk to a lot of people and hearing what they have to say. And be open to the idea that maybe people will not be willing to pay for your thing or for the benefit that you bring, and use that as an opportunity to find the thing that will. Jon Speer: Yeah, that's great advice. And folks, Scott's right, we're just barely skipping the surface on this topic of value proposition for medical device product development. Of course we're talking to an expert in this field, Scott Phillips at StarFish Medical. Reach out to him. We'll include information about StarFish Medical in the post that accompanies this podcast. And I really wanna thank Scott for being my guest today. 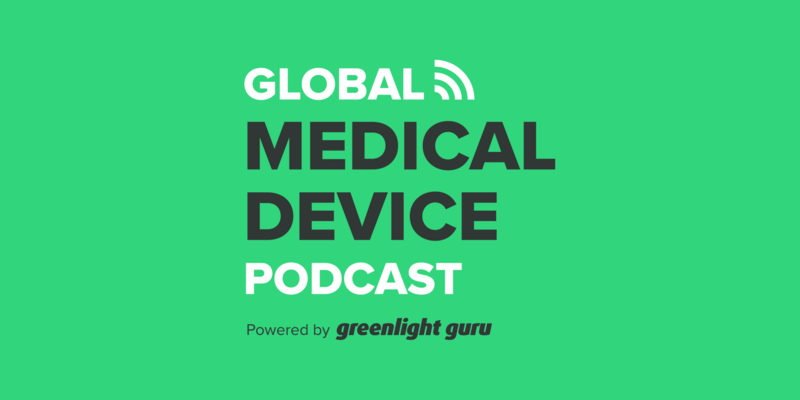 As always, if you have ideas, suggestions, comments about things that you'd like to hear about on the Global Medical Device Podcast, or other content pieces that we can put out through GreenLight Guru, just let me know, happy to take that feedback. And this is for you. And happy to help provide guidance, direction, and education on the things that you're trying to do in the medical device industry. As always, this is your host, the founder and VP of Quality and Regulatory at GreenLight Guru, Jon Speer, and you have been listening to the Global Medical Device Podcast.